And now help is here thanks to a program at Morgan’s new Philadelphia-area non-profit, Misfit Manor. The Manor is dedicated to rescuing, rehabilitating, and rehoming animals at high risk of euthanasia (like pets too young or too old to thrive in a shelter, or who have an injury or illness shelters aren’t equipped for). But removing at-risk animals from shelters isn’t the whole story. “We also strive to keep animals out of the shelter system altogether by assisting families who are facing a hardship like homelessness,” Morgan adds. 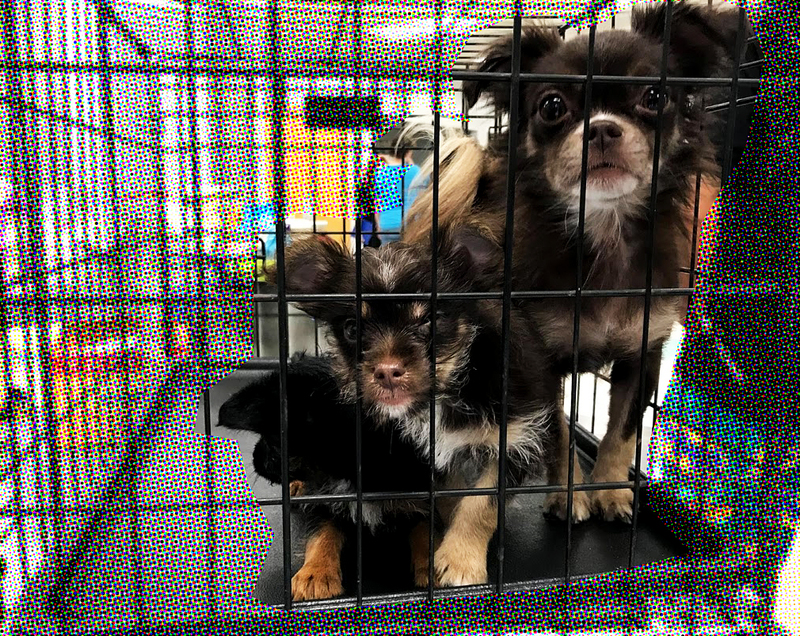 Misfit Manor’s My Dog First program helps provide vaccines, pet supplies, transit to veterinary partners, and temporary foster care for animals of people experiencing homelessness. Morgan says it’s hard to assess how many homeless people in the Philadelphia area are living with a pet: surveys of the homeless population tend to happen at shelters, where animals aren’t allowed, and many people experiencing homelessness are invisible to the public eye, living in cars or couch-surfing. She’s currently partnering with the national organization My Dog is My Home to develop a way to track the number of people experiencing homelessness along with their pets. If you feel scorn for people living on the street with a pet, Morgan would urge you to consider the painful double bind they often experience. And here’s another thing to consider. Morgan estimates that half of the homeless individuals she has helped through Misfit Manor have a disability. People with disabilities may be at higher risk for homelessness for a variety of factors, and they may rely on their animals (including emotional support animals and service dogs) more than the average pet-owner. These individuals were some of the clients who attended Misfit Manor’s inaugural pet health fair in 2017, which offered services like vaccinations, flea and tick preventives, wellness exams, treatment for minor ailments, grooming and pet food (all services that Misfit Manor works to provide those in need throughout the year). Morgan is hoping to make the fair a twice-yearly event. Outreach is a challenge: getting the info to people who need it, as well as gaining people’s trust. Accustomed to judgement from others, people experiencing homelessness often fear that someone offering help for their animal will try to take their animal away from them. But that’s not what Misfit Manor does. And it turns out that helping people’s animals is a simple way to honor the people themselves. “On more than one occasion, I’ve had someone say to me, ‘Thank you for treating me like a human. Thank you for understanding how important my dog/cat is to me,’” Morgan says. If you want to help, there are plenty of ways to donate or volunteer with Misfit Manor.